LE17 news, reviews and local events in LE17 areas including Lutterworth, Bitteswell, Ashby Parva, and communities in LE17. People in the village of Scraptoft in the Harborough district are being asked for their views on plans to give residents more say over planning decisions. Welcome to the fantastic new AMA (AboutMyArea) website, for Lutterworth and the surrounding villages. We aim to provide you with the latest local news, a 'What's On' guide to local events, and information and special offers from local businesses to cater for your every need! Register here to receive our free newsletter by e-mail. 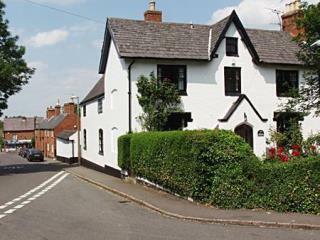 Located at the southern most tip of Leicestershire, Lutterworth is an attractive market town which has twice made its mark on world history. In the Fourteenth Century John Wycliffe made his pioneering translation of the Bible whilst serving as Rector of Lutterworth, and more than five hundred years later, Sir Frank Whittle developed the jet engine at the Ladywood Works off Leicester Road. Although situated in the very centre of Roman England, within walking distance of the intersection of the Fosse Way and Watling Street at High Cross, it seems likely that Lutterworth was first settled by the Anglo-Saxons. The name "Lutter's Vordig" means Luther's Farm and the original settlement was probably on or near the site of the present parish church. Please use the grey menu on the top left of your screen to navigate around the site, and why not register (it's FREE) to receive our regular newsletter to find out what's happening locally! You the reader can submit editorial articles on community and charity, news and events. We in turn will provide a platform for local businesses to engage effectively with the local community, so please tell your friends, colleagues, relatives and business friends, that this is the new go to website for the local area, and somewhere to build the strength of the community! Where you see this logo you'll be able to go to your AMAZing place or register if it's your first time! Find a Local Business Get the LE17 Newsletter!